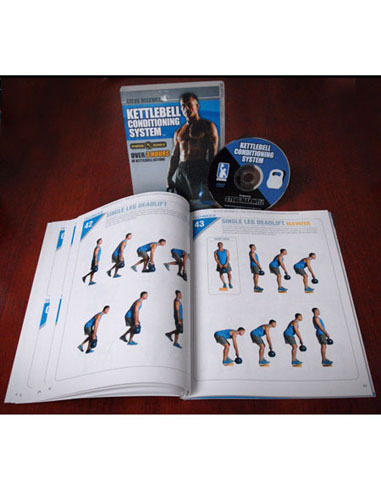 The New Kettlebell Conditioning System is renowned Kettlebell and fitness trainer Steve Maxwells, unique training system in an easy to comprehend book and DVD format. On the Kettlebell Conditioning system DVD, Steve teaches the 59 most important single and double Kettlebell lifts with details and training tips not previously seen on any of his DVDs. 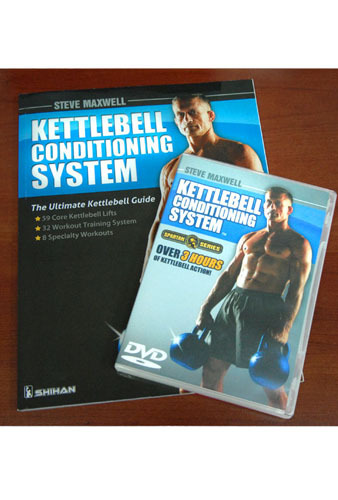 This is Steve’s most in-depth instructional DVD to date and with over 80 minutes of non-stop Kettlebell instruction! 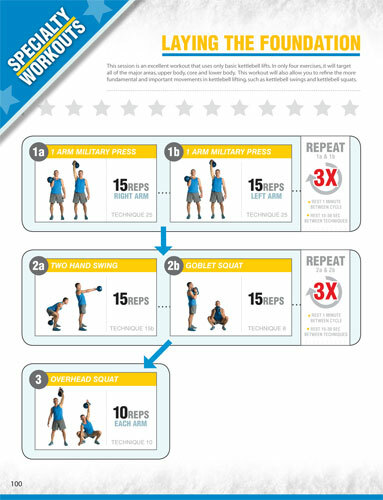 In the Kettlebell Conditioning System Book, you get all of the lifts from the DVD so you may review them anywhere, anytime and his powerful 8 week Kettlebell training system that will get you in the best shape of your life! 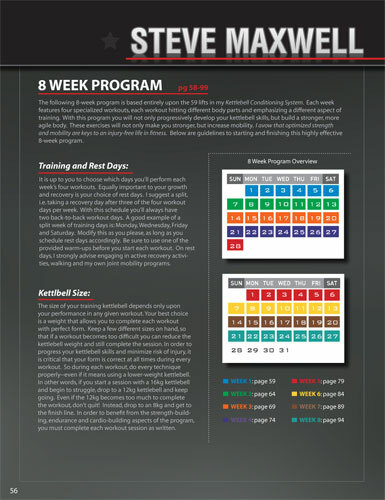 This is the first time a Kettlebell program of this size has ever been offered to the public, with 32 specifically designed Kettlebell workouts spanning an impressive 8 weeks. 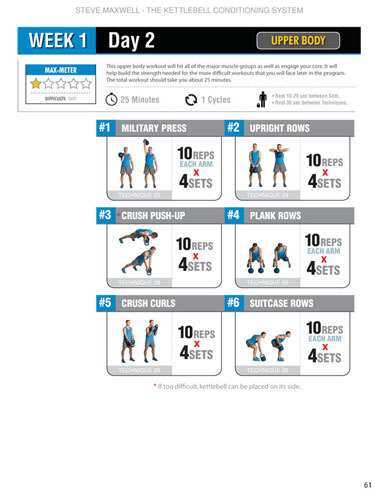 Each week gives you four individual workouts, targeting different body areas including cardio, strength and Kettlebell technique. 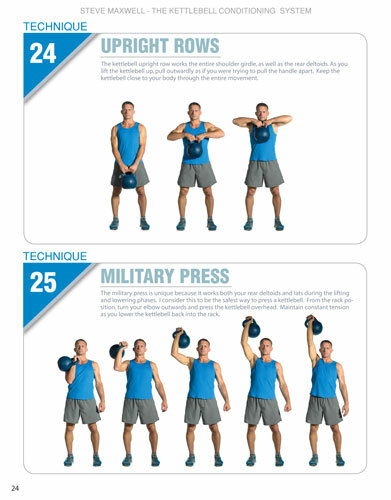 This program will be the most intense Kettlebell training you will ever experience, as each workout and Kettlebell lift becomes progressively harder. Also included in this book is Steve Maxwell’s 8 favorite specialty workouts that he himself does on a regular basis. With a total of 59 Kettlebell techniques and 40 individual workouts, Steve Maxwell’s Kettlebell Conditioning System Book and DVD combo is an absolute must have for any Kettlebell enthusiast.